This textbook covers the entire spectrum of both benign and malignant gastrointestinal disorders. It is unique in its multidisciplinary approach and focuses on practical issues in day-to-day clinical care. The complexity of novel diagnostic modalities and the great variety in therapeutic options, both medically and surgically, require an integrated, multidisciplinary approach. Therefore, each topic in this textbook is first discussed by two gastroenterologists and subsequently by two digestive surgeons. If appropriate, interventional radiologists, internists and pathologists have also contributed. Specific subchapters on gastrointestinal malignancies have been added, written by medical and radiation oncologists. Nowadays, many hospitals and medical schools change their infrastructure from discipline-oriented to patient-/disease-oriented. 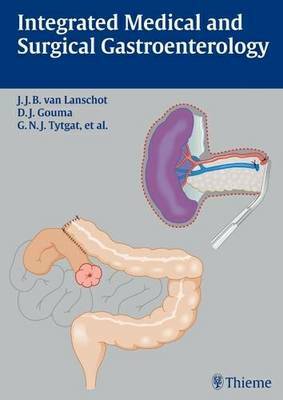 In fact, this textbook describes what the medical gastroenterologist should know about surgical gastroenterology and vice-versa. A large number of drawings in full color helps the reader to get a clear picture of many technical procedures.